When it comes to sending love to your brother on the occasion of RakshaBandhan, IGP.com never gives it a second thought before going an extra mile to ensure a joyous and happening Rakhi celebration. For all those sisters who missed out on sending Rakhi to their beloved brother well in advance before RakshaBandhan, we bring this groundbreaking innovative feature called Express Rakhi delivery. You don’t need to be disappointed anymore for mistakes as little as not sending the rakhi in advance. Now, make up for the mistake with the mouthwatering Rakhi with sweets or chocolate hampers from IGP.com with our express delivery feature. The express delivery of Rakhi simply means that we will deliver you rakhi within a time period of 24 hours after placing the order. So, you are never late to send rakhi on this RakshaBandhan. Why Express delivery of Rakhi is a like never before feature? You have already started thinking that it is too good to be true and we are here with even more surprises. Guess what! There are no extra charges for using the Express delivery feature of IGP.com. And of you are still wondering that we are going to charge for the shipping. We got you totally wrong as we provide free shipping on express delivery of Rakhi to all the major cities in India. The list of surprises don’t end here. There is no limitation on the products and hampers as there are all kinds of Rakhi hampers available for express delivery. So your express Rakhi delivery is as good as the usual rakhi delivery; in fact even better if one sees it in terms of the services involved. Why compromise with the choice when you have it all to choose from? 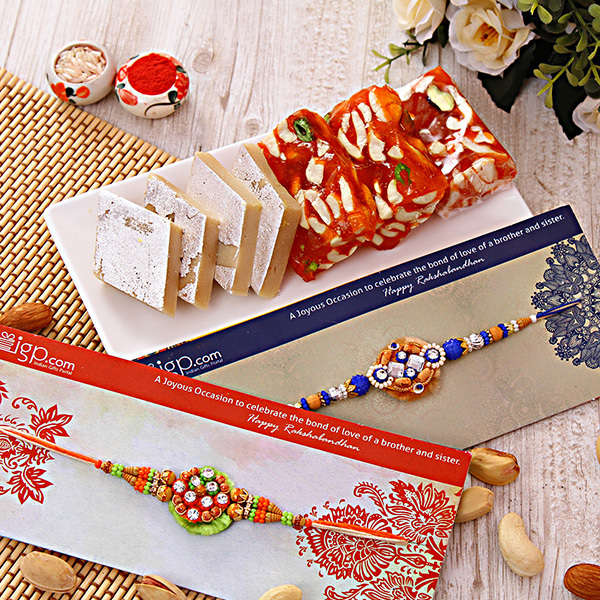 Rakhi with Sweets: Isn’t it awesome to treat your brother with the most delectable desi tastes? The kaju barfi that waters his mouth, the Rajasthanighevar to tickle his taste buds, the motichurladdoo, the soanpapdi and what not! You have it all to choose from. Rakhi with Chocolates: Celebrate the rakhi with the delectable tastes of Cadbury. Send Rakhi with Cadbury celebrations pack using express delivery. Rakhi with dry fruits: Send the dry fruit platters, lovely baskets and boxes for a toothsome Rakhi celebration. Rakhi with cakes: Cakes are an integral part of all kinds of celebrations. Why should RakshaBandhan not have a taste of it? Rakhi with flowers: Flowers are the best messenger as they say. Convey your message of love to your sister with the best bunch of flowers from our Rakhi with flowers collection. Rakhi combos and Gifts: From set of 2 Rakhis to set of 3, or combos like cakes and flowers with Rakhi, and Chocolates and dry fruits with Rakhi; you get it all to choose from. Where else will you get all these choices at the hour of urgency? Loved our categories and its products. Send them off to your brother’s doorstep right now. 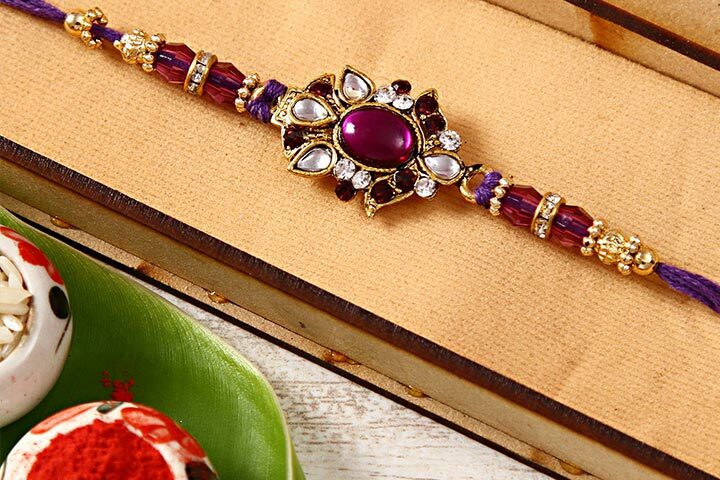 IGP.com has been a hub for Rakhi shopping for its worldwide customers since last 15 years. With the trust of millions of customers, IGP.com have also earned an expertise in selling and delivering Rakhi.